With the holidays in the air and so many invites to holiday parties. Are you looking for holiday party dresses that will make you standout at every event? I got you covered. Dressing for the holiday should be fun and vibrant. What better time of the year to have fun with your look while celebrating with family, friends and coworkers. This burgundy off shoulder dress will make a great party dress. The color and style is sure to make you stand out. It can be worn to any holiday party including holiday parties hosted by coworkers or at work to holiday parties with friends. What drew me to this dress is not only the vibrant warm color tone, but also the off-shoulder sleeve detail. I paired it with a burgundy sandals to complement the dress color and minimal accessories. 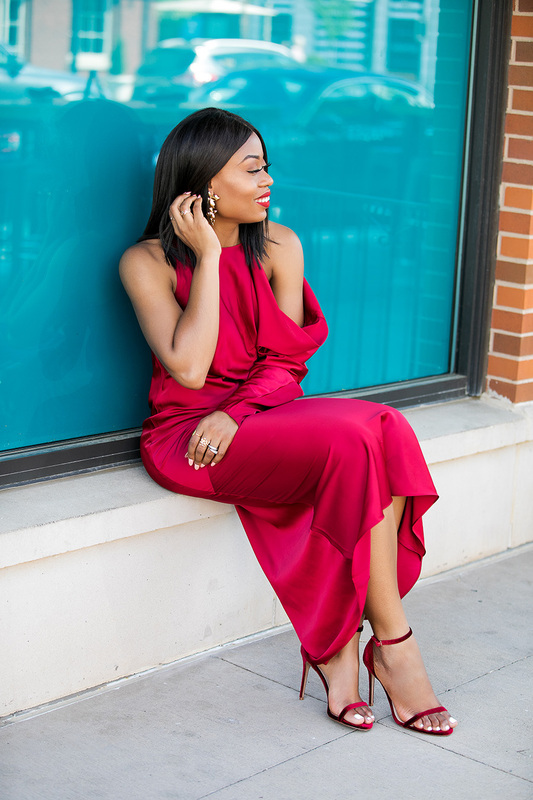 I have selected some of my favorites holiday party dresses that will make you stand out below. Gorgeous dress. Love the selections. That red looks great on you! Really love the sleeve detail.